Artist rendering of a new MetroLink station being constructed between Boyle Avenue and Sarah Street, the first segment of the proposed Chouteau Greenway. Great Rivers Greenway will introduce four teams vying to design the proposed Chouteau Greenway at two public events the first week of January. A jury of nine local and international experts chose the four teams to advance in a design competition that was announced last fall, said Susan Trautman, chief executive officer of the agency. The finalists are experts in urban planning who will now begin working on conceptual designs for the project, which would connect Forest Park and Washington University to downtown and the Gateway Arch. The winning team will be selected in June. The four finalists are design collaboratives that include St. Louis members. They are: James Corner Field Operation, STOSS Landscape Urbanism, TLS Landscape Architecture and W Architecture and Landscape Architecture. Trautman said it’s important for the designers to meet with residents who will use the trail before they begin developing their concepts. “The teams represent disciplines of urban planning, economics, cultural programming — a lot of different ideas and thoughts,” she said. Jan. 4: “Meet the Designers Night,” from 5:30 to 7:30 p.m. at Local 36 Sheet Metal Workers Union Hall, 2319 Chouteau Ave. Presentations from the teams begin at 6:15 p.m.
Jan. 6: “Chouteau Greenway Community Day” from 9 a.m. to noon at the William L. Clay Professional Development Center Hall at Harris-Stowe State University, 3026 Laclede Ave. Presentations will be made every hour. Great Rivers Greenway has received more than 2,000 responses to a community survey about the project — part of its outreach to involve residents in a project that could transform St. Louis, Trautman said. 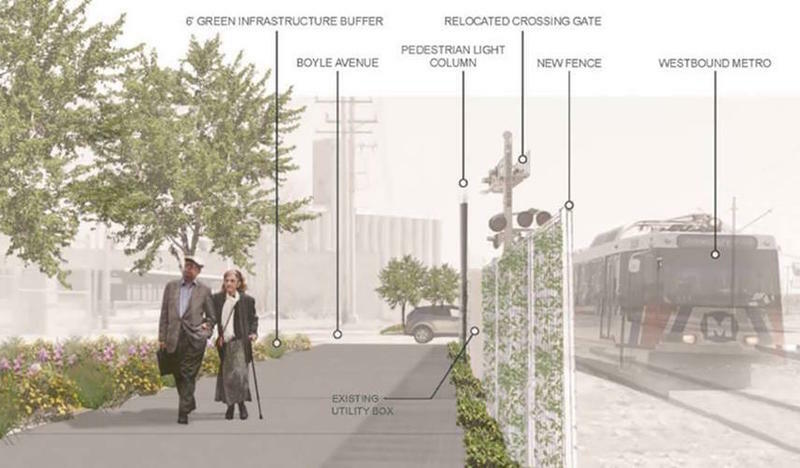 The Chouteau Greenway project would stretch five to seven miles from the riverfront to Washington University, with spurs north and south, to connect the city's neighborhoods, employment centers, parks, cultural and educational institutions. 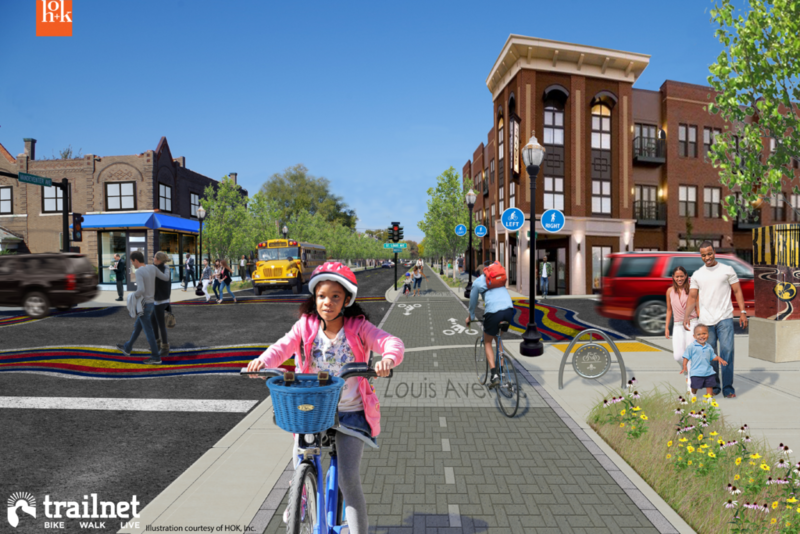 According to Great Rivers Greenway, "the team’s major green infrastructure Master Plan was conceived to connect parks and public spaces via a system of urban lakes, wetlands and trails through the St. Louis urban core." She believes that parks and trails present an avenue to a more inclusive city. “Chouteau Greenway represents an opportunity for unification because everyone will own it,’’ she said. 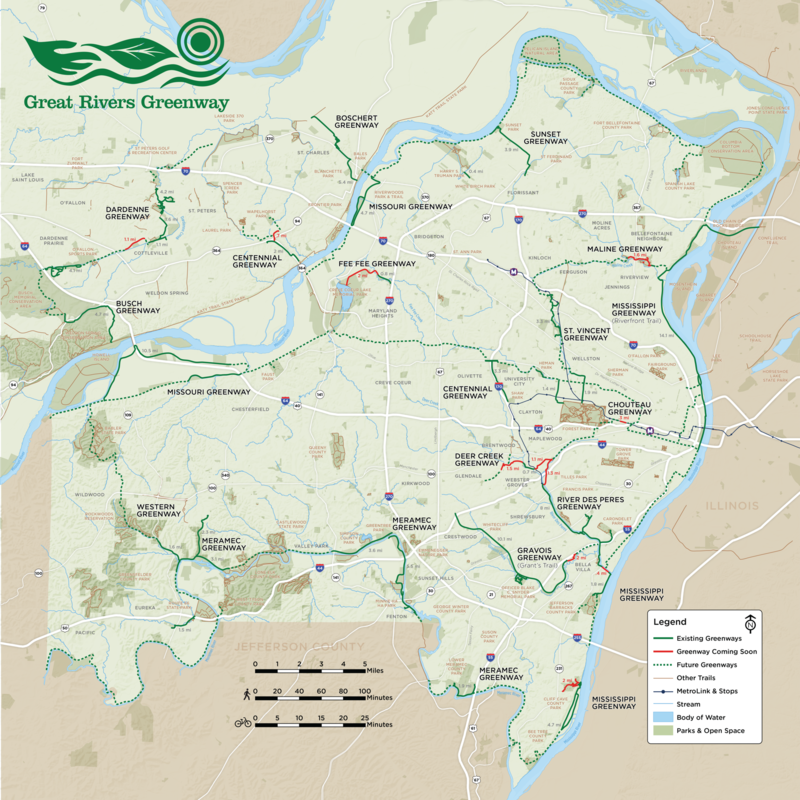 Great Rivers Greenway is a public agency that has constructed 113 miles of greenways in the St. Louis region. The agency is funded by a sales tax that was approved by voters in 2000. The design competition is privately funded by a partnership that includes the Arch to Park Collaborative, Washington University, Forest Park Forever, Grand Center and St. Louis University. The project is still in its very early stages, but Trautman foresees a public-private partnership for funding, similar to the renovations of Forest Park and the Gateway Arch grounds. Pedestrians and bikers will eventually be able to cross over two busy highways in St. Charles. 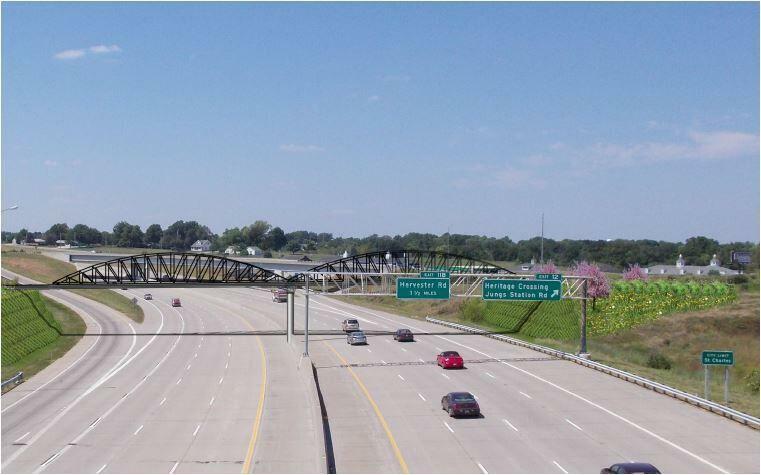 A project is planned to construct two new pedestrian bridges over highways 364 and 94. This article first appeared in the St. Louis Beacon: July 23, 2008 - About 130 years after Forest Park's June 1876 opening, enthusiasts of one of the city's most popular attractions can carry renderings of its jewels in their pockets. Groups and cultural institutions devoted to making the park shine have collaborated to publish Forest Park, St. Louis (Scala 2007), a small book that features vertical and horizontal fold-out sections on the park's features, such as the Muny, the Science Center and the Zoo. Proceeds from Forest Park go to the Flora Conservancy, a volunteer group that works to maintain the park's arboreal aesthetics.